Welcome to our page about St Mary's Parish! On this page we'll put the information we have about St Mary's Parish. 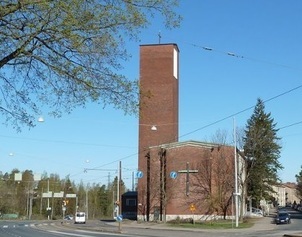 At the present time we offer the Parish Calendar and Facebook updates as well as their News feed (mostly in Finnish). More information (some also in English) is available on the parish parish web site. At the bottom of this page you will also find the YouTube live stream from St Mary's Church.